WORD UP: The Poets that will be on parade at WORD UP Volume 5. 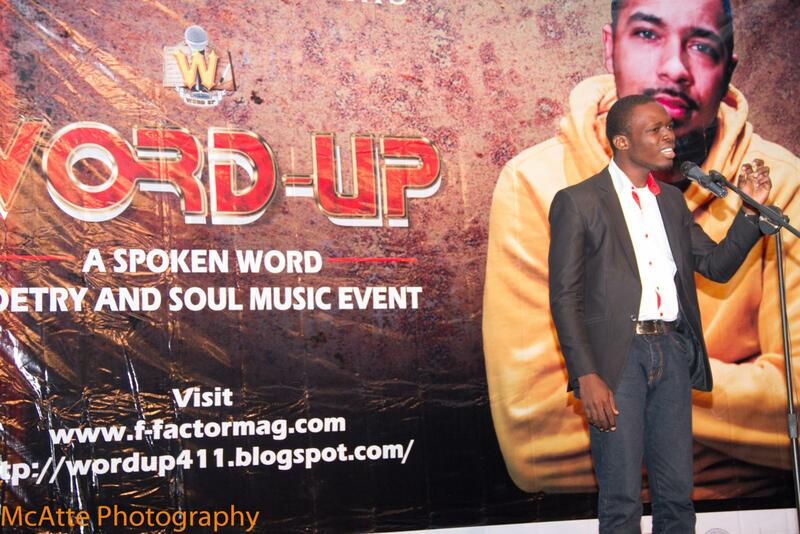 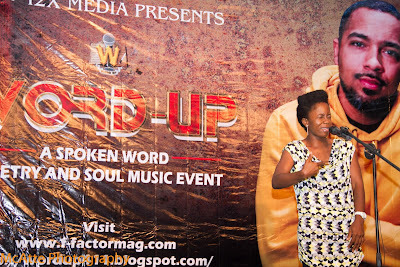 The Poets that will be on parade at WORD UP Volume 5.
the biggest Spoken Word Poetry Event in Nigeria, WORD UP. Plumbline, Efe Paul, Atilola, Obii, Dolapo. 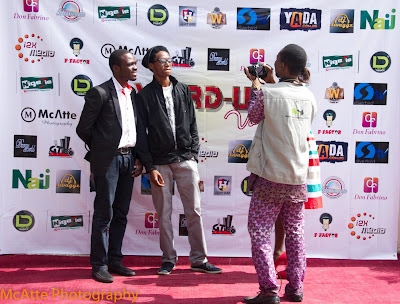 Titilayo, D Ray, Uzbek and many more. 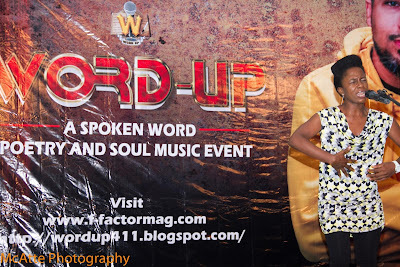 The Celebrity Poet of the day, Toni Payne. 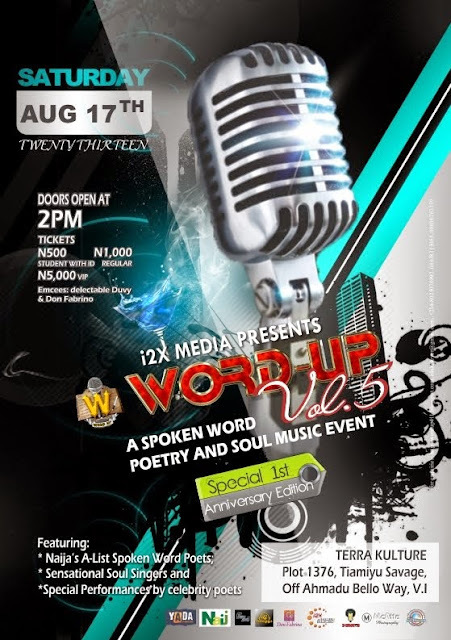 We also have Sensational Soul Singers, Lumynos and Aduke, to spice up the event. 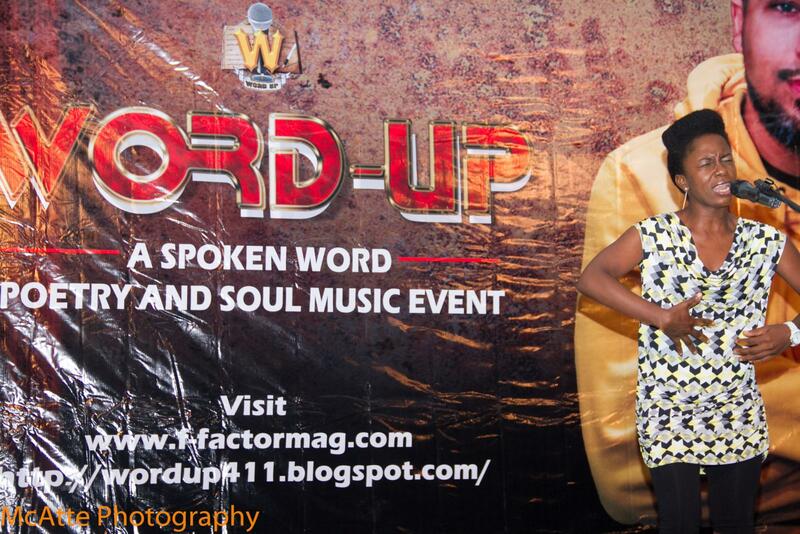 The first 50 people will get a free DVD from any of the past WORD UP editions and/or War Of Words Season 1 DVD. Date is August 17, 2013.